Despite traffic, pollution and congestion, living in the city will always have its unique charm and appeal. The proximity to central business districts, retail centers and leisure spots; the easy access to schools, churches, banks and hospitals; and the overall convenience of living right smack in the middle of where it all happens—all these continue to compel people to choose to live in the city. With so many options and the continuous real estate boom in the metro, choosing your next address can become quite a daunting challenge. The criteria is quite straightforward—prime location, ample space, compelling amenities, reliable developer and a reasonable price tag. At times, home buyers may have to compromise one for the other but one new development promises to offer it all. Sonata Private Residences by Robinson’s Luxuria is composed of two 30-storey towers within the Sonata Place complex, right in the heart of the Ortigas central business district. This masterful development is the essence of luxurious urban living. From the grandiose reception area to the four high-speed elevators that take residents to new heights—literally and figuratively—everything about Sonata Private Residences speaks of luxury. Similar to a Sonata—which is a composition with three or four movements with different rhythms but related by the same key—this development is defined by various components that come together to form one luxurious complex. Aside from posh homes, the Sonata complex also features office spaces, a hotel and access to high-end retail stores around the area. A typical unit features an AC ledge/balcony for split-type airconditioning system, with provisions for electrical pipe sleeves. Other standard unit fittings include an exhaust system for the toilet and bath, a utility room for certain units complete with washer and dryer provisions, kitchen with overhead and base cabinets plus granite countertop and individual water and electricity meters. Three-bedroom and penthouse units have a powder room as well as a utility room. Penthouse units also have a study/family room for more quiet moments. A bathtub option is also available for those in the penthouse. The amenities are, of course, world-class. It offers the expected amenities albeit made more grandiose—a 25-meter lap pool, an 80-meter jogging path, playgrounds both indoor and outdoor, a daycare center, a sauna and multi-purpose function rooms, among others. Property and home buyers who want to experience the best that Ortigas Center has to offer can rely on Sonata Private Residences to do just that. Sonata Private Residences is a development of Robinsons Luxuria—Robinsons Land Corporation’s upscale development arm. As the name implies, Robinsons Luxuria distinguishes itself through the experience it offers—generous living spaces, distinct aesthetic, strategic locations and focus on service and details that define luxury. Aside from Ortigas, Robinsons Luxuria operates in Makati and Mactan—two areas known for business and leisure. From its distinct architecture and aesthetics to the well-thought out amenities, Robinson’s Luxuria elevates the standards in the country’s luxury real estate market. Feel the luxury and the finest living (with emphasis on utmost privacy) in this part of the Ortigas CBD, it is where The Sonata Private Residences is nestled, the first ever high-rise residential community to rise within the Sonata Complex and right in the middle of Pasig’s most valuable location. Like music to the ears, the landscaped gardens and its serenity are just awesome! The Sonata is Robinsons Land’s exceptional property development creating an ambience similar to a nature’s reserved right in the center of a teeming locality. The project is primarily located in Lourdes St., Ortigas CBD, PasigCity. Just like its namesake, the Sonata, which is a musical composition with several movements, the project has different elements, such as a residential condo, an office building and a hotel. The mixed-use residential development is now ready for occupancy. On this manner, residents will have the chance to indulge, not only in luxurious living, but also with the project’s commercial endeavors. As part of the growing economic power of the Ortigas CBD where lots of opportunities abound, it is a privileged owning a piece of this property. Comprising of 2 towers, each tower is composed of 30 floors of residential units. 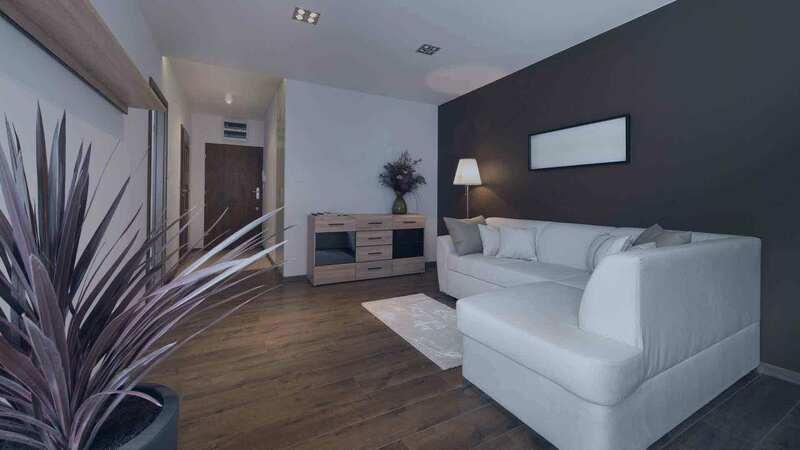 Units have sizes ranging from 43 to 141sqm of floor area, each built and constructed with the finest materials and the latest state-of-the-art technology. Units are classified as 1-BR, 2-BR and 3-BR residential units. There are1-4 T&B depending on unit model; with provision for dining, living and kitchen (with granite counter top- all units) areas, finished and painted walls and ceiling; for selected units, there are provisions for balconies, AC ledge, utility room, powder room and study/ family room. The amenities and facilities are worth every penny of investment, such as pocket gardens, kiddie pool, 25-meter lap pool, sauna with shower and changing room, indoor and outdoor playground, day care center, function room, game room, private theater, music room, multi-purpose gym and studio, residence lounge, Wi-Fi availability and so much more! There is 24-hour concierge service, 4 high-speed elevators per building, underground drainage system, basement and ground floor parking, centralized mail room and single loaded corridors for natural ventilation and perimeter fence. The property is guarded 24/7. There are several schools within the immediate vicinity of the project, like the St. Pedro Poveda College, Lourdes School of Mandaluyong, Miriam College, Ateneo de Manila University, UP Integrated School Pasig, Lourdes School and St. Bridget’s School. Numerous hospitals are serving this locality which are all reachable within minutes, such as the Quirino Memorial General Hospital, Salve Regina General Hospital, Quirino Memorial Medical Center, Medical Plaza Ortigas and Philippine Animal Hospital Association (for your pets). Shopping and entertainment needs are sure to be addressed when you are living in the Sonata Private Residences as there are several of these establishments within close proximity from the site, such as The Podium, St. Francis Square, SM Megamall, SM Fashion Hall, Robinson’s Galleria Mall, and Riverbanks Mall. Some of the most notable landmarks near the Sonata Residences are the San Miguel Corp. head office, Unilab Corp., the EDSA Shrine, the Philippine Stock Exchange, Australian Deli Resto and St. Francis of Assisi Parish Church. Looking for Condominium For Sale in Pasig City? Find Preselling Condos in Pasig City and other Properties in Pasig easily. Robinsons Sonata Private Residences in Ortigas, Pasig City, Philippines is a premier Condo project available for sale. If you're looking to rent or purchase Sonata Private Residences, then check here first. We have full details of Sonata Private Residences updated regularly as well as everything you need to know about the availing and booking process, broken down into stages that includes selecting a unit, choosing a payment plan and buying your dream home at the right price. For price list, free site tripping or showroom visit, personalized service, model house, unit plans, floor plans, payment terms, CHAT LIVE with an agent 24x7. We are Remax Perfect Homes. Always only buy from PRC licensed Real Estate Brokers and Agents. Succumb to the elegance of the Sonata Private Residences, a shining light in the quest for the new kind of condo living right in the midst of the metropolis. This condo for sale in Mandaluyong City is not your average condo community that only put roof sheets on your head, rather this lifestyle-changing enclave is fully packed with adorable residential units in spacious configurations, world-class amenities and facilities, and a whole lot more of heavenly living amidst the bustling concrete jungle of the metro. This distinct modern haven is made up of two towers, each having 30-storey of majestic residential condo units that are luxurious enough to make urban life a one-of-a-kind experience. Make your investment not only profitable but memorable as well. Rising majestically along San Miguel Ave., cor Lourdes St, Brgy. Wack Wack, Mandaluyong City, the Sonata Private Residences is totally exclusive and fit for royalties without the high price tag. This condo community has awesome amenities everybody are sure to die for. Experience the 80-meter jogging and biking path, 25-meter lap pool, indoor and outdoor play area, landscaped gardens, pockets parks, computer room with games, day care center, function room, sauna, spa, shower and changing room, private home theater, multipurpose gym and studio, residents’ lounge, Wi-Fi hot spots, concierge service, efficient parking system, 24/7 security, and other amenities that the family will surely enjoy. This affordable condo in Mandaluyong City is fortunately situated in a busy and bustling thoroughfare, and yet, you can feel the total serenity and tranquility inside the Sonata Private Residences. The Wack Wack Golf and Country Club is just 800 meters northwest of the site and just a few meters from this country club further to the north is the Greenhills Shopping Center. Other worthy neighbors of the Sonata are the St. Paul College Mandaluyong, Wack Wack Twin Towers, Valle Verde 1&2, San East of Galleria Condo, The Medical City, Victor R. Potenciano Medical Center, Ultra Sports Center, Robinsons Land Corporation Headquarters, Shangri-La Plaza, SM Mega Mall, SM Art Center, University of Asia and the Pacific, PhilSports Complex, Blue Matiz Gallery, and other random establishments that are within the site’s immediate 1km radius. Own one of the Sonata Private Residences’ wholesome and elegant unit without hurting your budget. While you can own a piece of the pie by paying spot cash, you can still avail of the RobinsonsLand’s friendly payment schemes where you will not be forced to pay in cash, instead, you can opt for another payment scheme that will suit your budget. Find out more about these other payment options by contacting our ever reliable team of expert real estate agents on this website for further details.